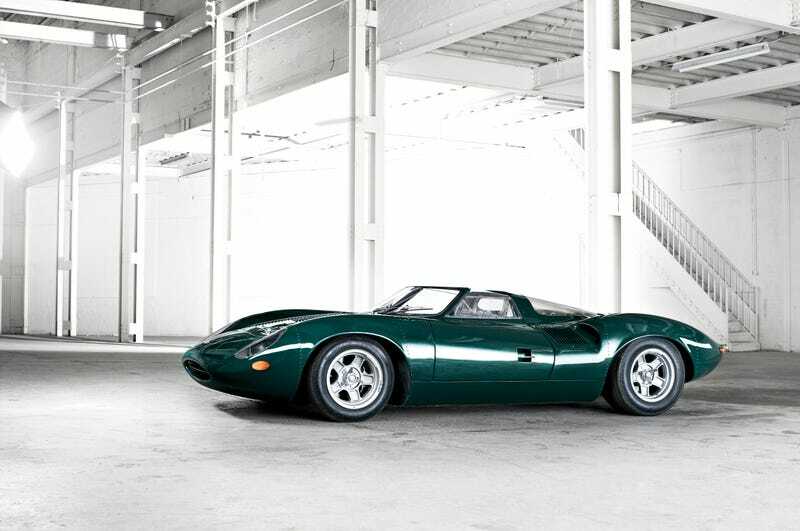 In 1964, Jaguar started work on a racing prototype for Le Mans called the XJ13. It boasted a gorgeous body designed by Malcolm Sayer wrapped around a mid-mounted 5.0-litre V12. But by the time the car was ready to hit the track, Jaguar ruled it'd already become obsolete. The company put it away until one day in 1971 when they wanted to shoot it in a V12 E-Type promo film and, driving it at high speed on a bad tire, crashed and nearly destroyed the thing. It was shortly after rebuilt to the best of Jaguar's abilities, but even the automaker admits it's sort of a recreation, now. They've held on to the XJ13 ever since, showing it off at their museum or at an event here and there. It's that very last bit that interests me—that, and the fact in '96 someone offered Jaguar either £7 million or $7 million for it (you see both numbers online) and they turned it down. That fact puts it in a rarefied class you don't often hear about: the most expensive cars never sold. Cars worth literally millions (like the Andy Warhol M1 art car above) whose original owners or builders have not once been tempted by all the zeros on the cheque being waved in their face . We've collected 10 14 such cars in our gallery over on Autofocus.ca, but if you can think of some we missed, feel free to share them below. Is This Bus More Aerodynamic Than A Lamborghini?